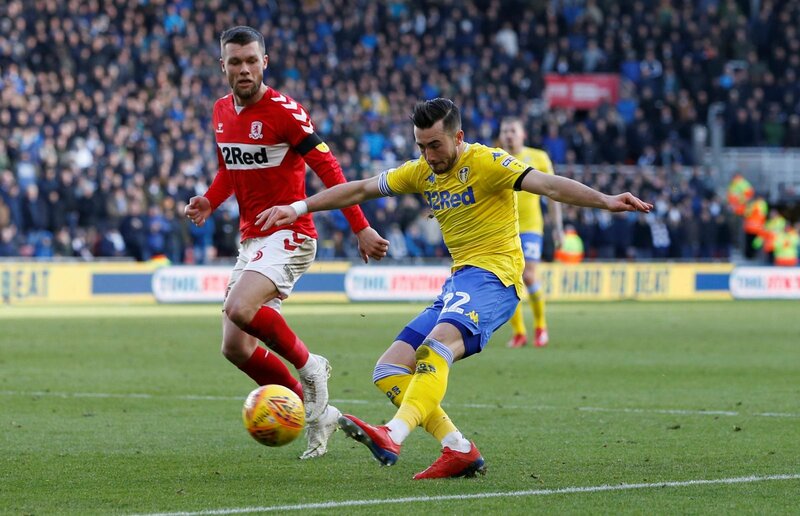 Jack Harrison was the hero for Leeds United at the weekend, with the winger scoring the only goal in a 1-0 win over Sheffield Wednesday. Leeds are starting to see something like the 22-year-old’s best at the minute, with Harrison’s strike against Wednesday his fourth goal of the campaign. And, the Manchester City loanee was discussing his future in the wake of that goal, not fully closing the door on an Elland Road return when talking to BBC Radio Leeds. So, with Leeds on the cusp of promotion, should they be looking to bring Harrison back next season? “Not if they win promotion. “Harrison is a good player at this level, as he proved on Saturday, and has played a big part in Leeds’ promotion push. “However, they will need that extra bit of quality if they go up and I don’t think he would score enough or make enough goals in the top-flight. “Harrison has blown hot and cold this season for the Whites. “We have seen the quality he possesses, but it hasn’t been often enough and if the club are promoted, you’ve got to say they will need more quality on the flanks. “Having said that, Harrison will no doubt have benefitted from a full year in and around Leeds’ first-team, and should he return, we might see him thrive. “I think there are better options out there. “Harrison hasn’t been consistent enough for my liking and I don’t think he’d be good enough to make the step up to the Premier League.